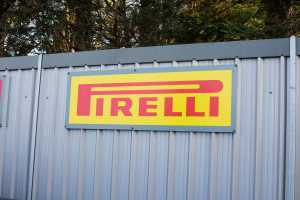 Tyresavers (UK) Ltd are a proud supplier of Pirelli tyres to our customers throughout Essex. Pirelli are an Italian manufacturer that produce stylish and enduring tyres that offer reliability and performance with every drive. Designed to handle even the most extreme conditions, Pirelli tyres are pioneered through consistent research and development to produce a final product of the highest quality. Tyresavers (UK) Ltd stock a variety of Pirelli tyres to suit a range of cars, vans and 4x4s in our depot in Ongar. Our expert technicians provide a high-calibre service, working quickly and efficiently to provide the best customer service possible. Our fully-trained team can advise you on the most suitable tyre for your vehicle to ensure you get the best value from your money, and our tyres will be fitted free of charge. For more information on the range of Pirelli tyres, or any of the other branded tyres we carry, get in contact with our friendly team of advisors. We’ll be happy to help.